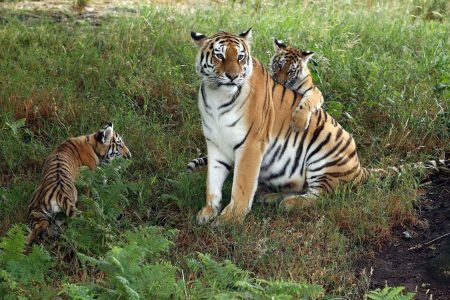 Yorkshire Wildlife Park’s rare Amur Tiger cubs take their first steps! Award winning Yorkshire Wildlife Park’s rare Amur Tiger cubs took their first ever steps into the big wide world of their huge reserve today to celebrate International Tiger Day. Meanwhile, visitors to the award-winning park were finally able to see the three playful cubs enjoying the main reserve for the first time at the Land of Tigers – a thrilling sight which was all captured on film.